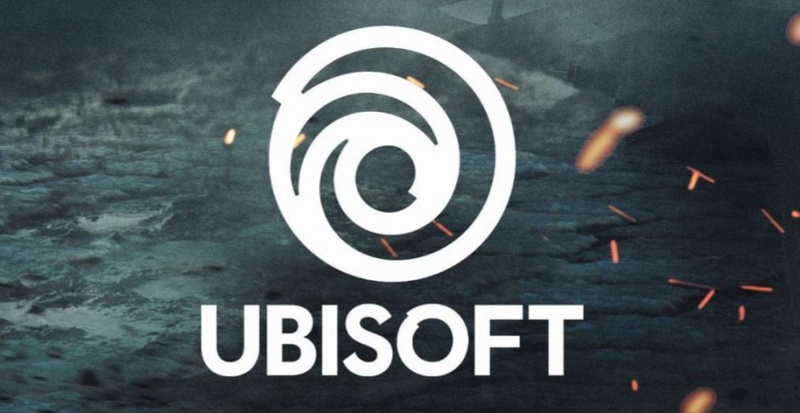 In a shock move in the ongoing Ubisoft takeover saga, French multinational corporation Vivendi has sold its entire 27.27 percent stake, effectively ending its year-long attempt to take a controlling investment in the Assassin's Creed and Tom Clancy publisher. The stock sale, which amounts to around 30.5 million individual shares, was announced yesterday, following months of negotiations and takeover attempts throughout 2017 and the beginning of 2018. The exiting deal with Vivendi also ensures the multinational cannot attempt to re-buy stock from Ubi for five years. The move has also made way for another shock announcement, with Ubi announcing the arrival of some new investors, including one that sees Chinese gaming giant Tencent acquiring five percent in the French publisher. The new partnership will see Tencent, “operate, publish and promote several of Ubisoft’s most successful titles on PC and mobile in the Chinese market,” said Ubi in an official statement. “We are honored to start this new chapter of our relationship with Ubisoft, and to be able to bring many of Ubisoft’s creative and renowned titles to our Chinese customers,” added Martin Lau, president of Tencent, in the same press announcement. Glad Vivendi have bleeped off. Ubisoft was saved by Tencent which bought Vivendi's hostile takeover shares. Yaaaay....wait. I find it interesting that when Vivendi first started buying into Ubisoft, the reaction across the internet was all "Great, can't wait for them to be bought out" etc etc, but now it's all "Great, so glad Vivendi didn't buy them out"
@FragRed I would like to think they realised what scum Vivendi actually are.. but alas more likely people are just fickle with opinions. Ubisoft may have crummy practices but they by no means deserve the Vivendi death sentence. Yeah, Tencent getting involved into all this isn't good news either. It's certainly better than Vivendi taking over Ubisoft, of course, but still. @FragRed From what I've seen it hasn't changed. The reaction has always been that Ubisoft is better off on its own that under Vivendi. People will eventually find out why this is actually good news. Vivendi is more or less the French version of EA or any of the other megalomaniac companies to be found across the globe. The takeover would have destroyed Ubisoft's legacy and most of its IP's, which would never have been a good thing. Tencent owns Riot, correct? They also own that IP that is the world's most profitable game too. The MOBA with Batman or whatever. Well this makes me extremely happy because Tencent Games is also wanting to being things to the Nintendo Switch and if they are in fact publishing existing titles in China to PC and Mobile not a far stretch to see some of those ports making it here to the West. So long as Tencent is only handling Chinese distribution that's fine. I don't want them to get involved in Ubi's operations too. Great stuff and I'm glad Ubi staff stood up to make sure this takeover never happened. Glad to hear that Ubisoft doesn't have to worry about being gutted by Vivendi. Tencent getting the stock has some issues, but even if they try getting more involved, they at least have much less power than Vivendi does-for now. I hope the leadership is careful about selling it again, lest they fall into this trap once more. Ubisoft itself is a company I'm very mixed on. 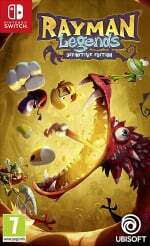 Sometimes they act like the scummiest of companies ala EA/ Activision-Blizzard that gaming can do without, but other times they show genuine promise with great games, even in spite of their business practices (Mario + Rabbids comes to mind as a great game with no major problems, and the season pass seems to be within reason-though whether it's worth the asking price of $20 will be seen with the DK release). Ultimately, while I want them to be smarter about their business and other things, I'm happy that they're here to stay, as opposed to being ruined by greedy investors. @Octane There was a bit of optimism, but it was less because people thought Vivendi was good, and more so that they thought a change in direction could benefit people, which comes from a mindset of "how much worse can it get?" A change of management would be good, but this kind of leadership probably wouldn't have done positive anything for anyone who actually cares about games. Ubisoft can now stop fighting this and now concentrate on keep making great games for the PS4 and Switch! woot! Tencent and Ubi have agreed on a limited ownership which means that Tencent can never do a hostile takeover like Vivendi tried. Vivendi is not a game company and they don't care about games but they do care about money. I think they finally realized that this would mean loss of money with the loss of rep.
Good for Ubi. Now where is that Mario RPG from Milan team? Glad that this happened, Vivendi would have been a death sentence. I don't know all that much about Vivendi, but with what I heard that would have been the end of anything new coming from Ubisoft. By what I understand only establish IPs would be pushed, they would be milked to death and destroyed, and anything that cost more to go into they would have prevented. This means that obese off would not of had another game ever publish on a Nintendo system to be honest. I don't like Ubisoft but I don't wish a death like that to them. To me, Ubisoft is a 3rd party that never left Nintendo, like them or not. Glad to see them keep autonomy. I give it another ten years before UbiSoft bit**** about another hostile take over. Don’t forget that EA once owned 20% of the company. Tencent are a hugeeeeeeee deal! Great news for Ubi! @link3710 give em a chance.. Tencent are going to be a hugeeeeee player and will invest in Ubi to get the best out of them.. creative freedom.. money.. and a monster market to dive into with the biggest baddest meanest tag team partner anyone could wish for. This is great news.. the potential is simply put - immense! @MrYuzhai I'm mostly worried because Ubisoft is one of the only huge western developers I still actually like, alongside Bethesda. They aren't perfect, but they at least are still trying to put out stuff other than AAA mega games. My thoughts exactly, hopefully this doesn’t end up coming back to haunt them.